The Stan Patrol 5009 patrol boat is built by Damen Shipyards. Image courtesy of Damen Shipyards Group. The vessel has an overall length of 50.02m. Image courtesy of Damen Shipyards Group. The Stan Patrol 5009 patrol boat is powered by four Caterpillar C32 engines. Image courtesy of JMK. The Damen Stan Patrol 5009 patrol boats are designed and built by Damen Shipyards for general patrol missions in coastal waters and harbours. The vessel can also be deployed in maritime security, protection of the Exclusive Economic Zone (EEZ), fisheries and environment inspection/protection, and search-and-rescue (SAR) missions, and offers enhanced sea-keeping performance and fuel efficiency at high speeds. The Stan Patrol 5009 boat, Guardiao (P511) was delivered to the Cape Verde Coast Guard in December 2011. The vessel was commissioned for conducting local patrol duties in January 2012. 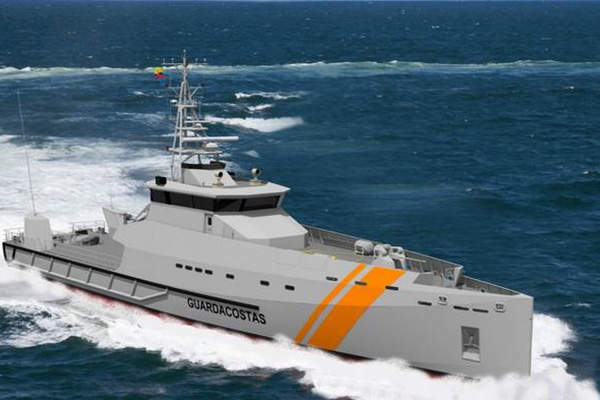 In August 2014, Damen signed a contract with Astilleros Navales Ecuatorianos (Astinave) to build two Damen Stan Patrol 5009 boats for the Ecuadorian Coastguard. 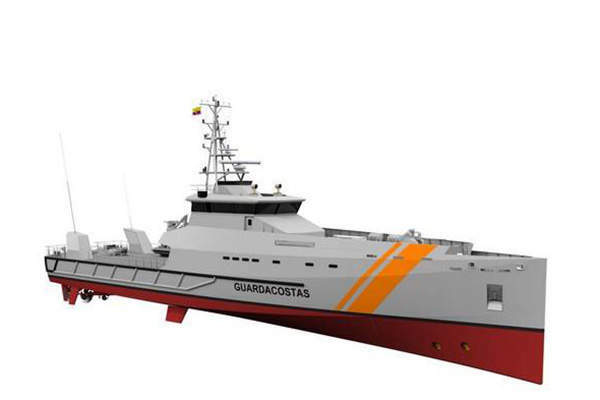 The vessels will be built by Ecuadorian Naval Shipyard with technical assistance from Damen. Damen Technical Cooperation (DTC) will provide prefabricated kits and on-site technical support during the construction and commissioning phases of both the vessels. The Damen Stan Patrol 5009 boat is based on the sea axe bow concept. Its long and slender hull is made of steel, while the wheelhouse is of aluminium construction. The enlarged hull form ensures decreased resistance at various speeds. Sentinel Class Fast Response Cutter (FRC) is a new class of patrol boat, being built by Bollinger Shipyards for the US Coast Guard (USCG). The vessel has 50.02m overall length, 9.4m overall beam, 3.5m draught, and 4.3m depth at sides. It can carry 63.10m³ of fuel oil, 26.60m³ of fresh water, 2.70m³ of bilge water and 1.80m³ of lube oil / dirty oil. The standard crew composition of the vessel is 18 to 26 personnel. The vessel is equipped with 11 cabins at main deck and below deck. The cabins accommodate one commander, nine officers and eight crew members. The wheelhouse and accommodation sections are fitted with air conditioning system. The patrol boat is attached with two 270kg anchors with high holding power, an electrical driven anchor winch, Heila HLM 3-2S hydraulic crane, hydraulic operated transom door and six life rafts. It can also launch or recover one 7.5m MST rigid inflatable boat (RIB), which is manned by a crew of six personnel. The RIB is installed with an inboard diesel / water jet and has a speed of 30kt. The Damen Stan Patrol 5009 is equipped with Integrated Navigational System (INS) to deliver flexible and reliable operations. The INS includes an autopilot as well as an automatic identification system (AIS) to identify and locate other ships. Communication systems fitted to the patrol boat include differential global positioning system (DGPS), two X-band and S-band radar systems, SAR finder, intercom/ loudhailer, GMDSS A2/A3 communication equipment, VHF radio telephone with DSC watch receiver, VHF handheld radio telephone and MF/HF radio telephone. The Inmarsat C communication solution provides two-way data and messaging services. The vessel is also installed with other equipment including electronic chart display and information system (ECDIS), Navtex, gyro compass, magnetic compass, searchlight, echo sounder, telephone exchange, CCTV, speed log, emergency position-indicating radio beacons (EPIRB), and search and rescue transponder (SART). "The auxiliary equipment includes two main generators having a capacity of 107kVA each." The Damen Stan Patrol 5009 boat is powered by four Caterpillar C32 engines, which develop a total power of 4,324bkW at 2,000rpm to 2,300rpm. The propulsion system also consists of Reintjes WVS 730 gearboxes, four fixed pitch propellers and two 100bkW bow thrusters. 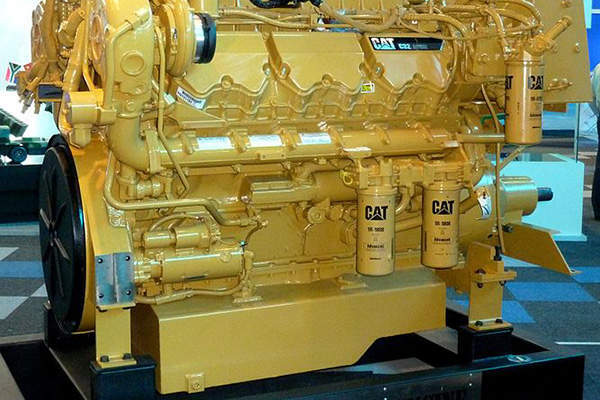 The auxiliary equipment includes two main generators having a capacity of 107kVA each. The equipment also includes fixed fire fighting system in engine room, Westfalia OTC-2 fuel separator, bilge water separator and an external fire fighting system. The engines allow boats to cruise at a maximum speed of 23kt. The vessel has a range of about 3,000nmi at patrol speeds between 10kt and 16kt. 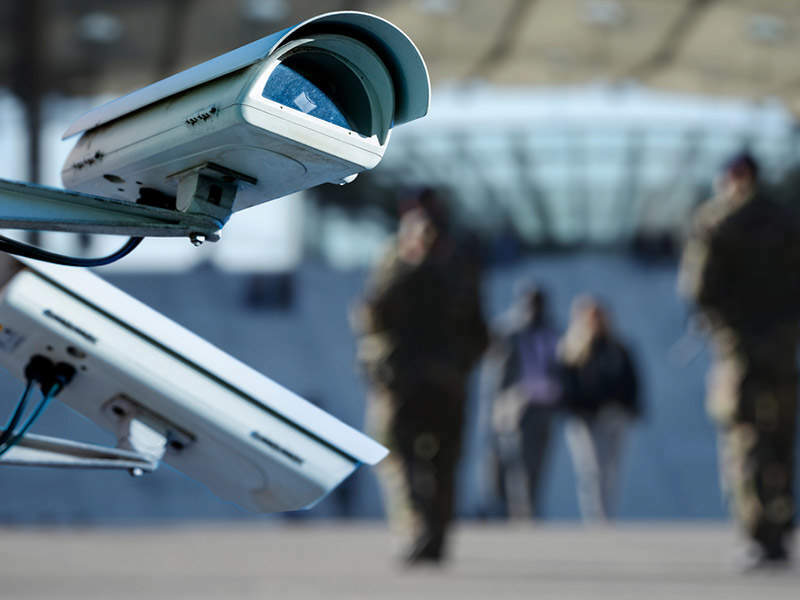 It can perform autonomous operations for up to 30 days.